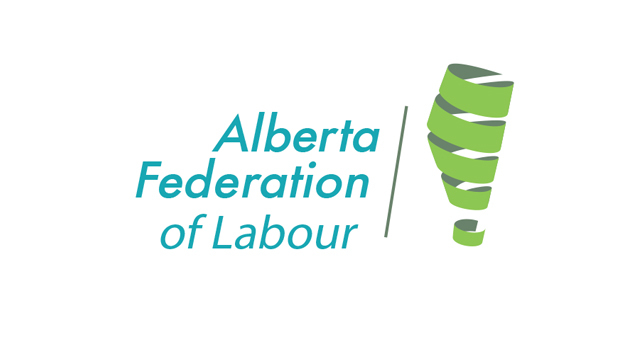 The Alberta Federation of Labour is a group of unions and employee organizations that work together to achieve common goals. Established in 1912, when unionized miners and tradespeople from southern Alberta first agreed to work together under the umbrella of a “labour central”, the Federation has fought hard to improve conditions for all working people, their families and their communities. In the early days, the AFL focused on eliminating child labour, establishing minimum wage laws and occupational health and safety regulations. They also fought hard to establish the standard work week we’ve come to know. The AFL is made up of approximately 29 different unions from around the province and between them represents the interests of 145,000 workers. The need for a strong united voice among all unions is important, especially in a province like Alberta where the attacks on workers are particularly vicious and sustained. Standing together with rest of labour under the umbrella of the AFL will continue to help us create positive change that will benefit all working Albertans.